by Jerry Mpufane (@JerryMpufane) In the competitive and fast-paced world of branding and marketing, businesses often overlook one of their most valuable and powerful resources: their own people. While brands will spend millions on billboard campaigns and high-tech activations, they sometimes simply ignore what is arguably their most-important customer touchpoint — in the form of highly engaged employees. So how may brands and businesses ensure that they are leveraging the power of their people? One of the most-pertinent definitions of the term “brand” is: “A promise, kept.” Indeed, brand experience is central to the delivery of the brand promise. Within this experience, employees are probably the most-important consumer touchpoint in building a successful brand. Sitting far ahead of any other ‘paid-for’ influencers, your employees are surely the most-authentic, believable ambassadors. While the paid-for influencers certainly play a key role in the marketing/communications mix, today’s savvy and informed consumer often sees through the hype. Without doubt, a (brand) promise is best kept where the rubber hits the road, and that is often precisely when the consumer meets your employees…who deliver on the brand experience on a daily basis (or not). So, I hear you ask, how can I make sure that my employees are great brand ambassadors and not bad ones? In most successful cases, ongoing product/service training provides the inspiration, and helps keep employee ambassadors motivated and on message. Usually, allowing the employee ambassador to have their very own personal experience of the product/service (frequently) yields great results. Think about it…there’s nothing worse than an employee of a top restaurant who recommends a dessert he hasn’t tasted himself! There’s something very powerful about a brand ambassador who uses the product he/she is selling. One memorable Old Mutual campaign featured a portfolio manager who declares that his own personal portfolio is invested in the same funds as his customers. In today’s era of social media, however, businesses should also be cognisant of who has the ability to speak for the brand and act as an influencer. Here, setting very clear boundaries (particularly for online behaviour) is paramount. This may be done by implementing training programs, accompanied by messaging toolkits which often carry the central brand message, while at the same time sharing some basic dos and don’ts. Naturally, not everyone may be a brand spokesperson, and discretion is always advised. The best solution is to allow only a dedicated set of professionals to manage a brand’s social media platforms in particular. It always helps to look to those brands that have gotten it right, and there are many role models we may look to here. Starbucks, for one, has long been a champion coffee brand, mostly because their employees are ‘proudly Starbucks’. Notably, Starbucks refers to their employees as “business partners”. The early years of the coffee brand saw employees qualify to take coffee home with them, making sure that coffee consumption happens at leisure, and also creating an unparalleled brand experience through the employee network. Added to this, Starbucks became one of the first (and still pre-eminent) employers which provide healthcare benefits to part-time staff, thereby building loyalty and commitment on a significant scale with their employees. Qualifying staff may buy company shares at a significant discount, and some markets provide staff with interest-free home loans. It’s worth noting that, in cases whereby the brand owns its distribution network (eg McDonald’s), it’s far easier to control the recruitment, training and maintenance of a motivated team of employees who ‘live’ the brand ethos. Unsurprisingly, it gets riskier in scenarios where a brand is dependent on third parties to deliver on a consistent brand promise (eg Coca-Cola). Many of the most-valuable brands in the world (such as Apple), in the main control their distribution network and have direct control over their staff. As a result, they can deliver on their brand promise on a fairly consistent basis. 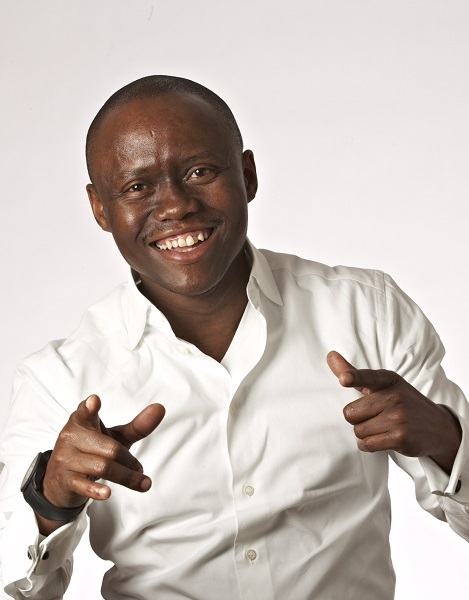 Jerry Mpufane has executive experience in both ad agency and client organisations. He’s only got one goal in life, which is to be an inspiring leader. 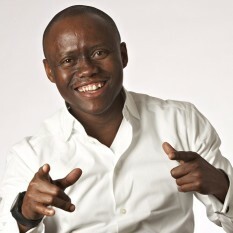 Jerry is currently group MD, Gauteng, of M&C Saatchi Abel. His monthly column on MarkLives, “On My Mind”, focuses upon what it takes to run a great AND sustainable ad agency.